Whatever you’re personal history, political stance, beliefs or nationality, few people are not taken by news of violations on the rights of fellow human beings. The most effective mode of response, on both individual and national levels, is a question where views may differ. However, whatever the opinions, it seems unfathomable to me that any measure of worth can be taken without either I) the awareness of the problem in homes as well as on the international stage and II) a reliable source of information on which individuals can depend and institutions can act. Human Rights Watch provides both. My own family is spread across the globe, living in Zimbabwe, Spain, Germany, the Netherlands, Oman, the United States and South Africa. My aunt and uncle living in Zimbabwe are first hand witnesses to deteriorating human rights there, as stated in one HRW report; “President Robert Mugabe intensified repression against thousands of people who peacefully protested human rights violations and the deteriorating economic situation” (hrw.org/world-report/2017/country-chapters/zimbabwe). Unfortunately throughout the time span of our lives, there will be reprehensible actions taken by misguided groups or individuals. For the people affected my hope is that HRW will continue to provide assessments where necessary, as they do for Zimbabwe. To ensure objectivity, Human Rights Watch does not accept funding from governmental organizations or individuals who might compromise their independence. So it falls to individuals, I hope we can count on your support. Lets make our Planet great again! Your entire donation goes toward HRW (I fund my own expenses for the NYC trip). We als have a sponsor that will match your donation! 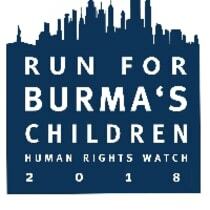 So 200% of your donation goes to Human Rights Watch!